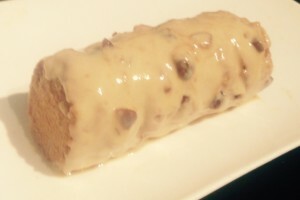 Posted on November 3, 2018 Posted in Cakes	. 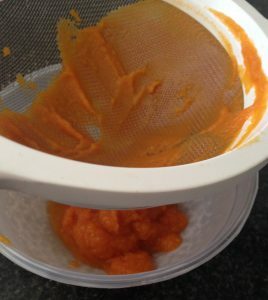 This recipe is an interesting one, while being so super easy and oh so delicious. The inspiration came from none other than chocolate bullets (chocolate covered licorice). I was looking for new flavours to pair with chocolate that were a bit unusual but complemented each other and though I could steal the flavour profile of chocolate bullets. 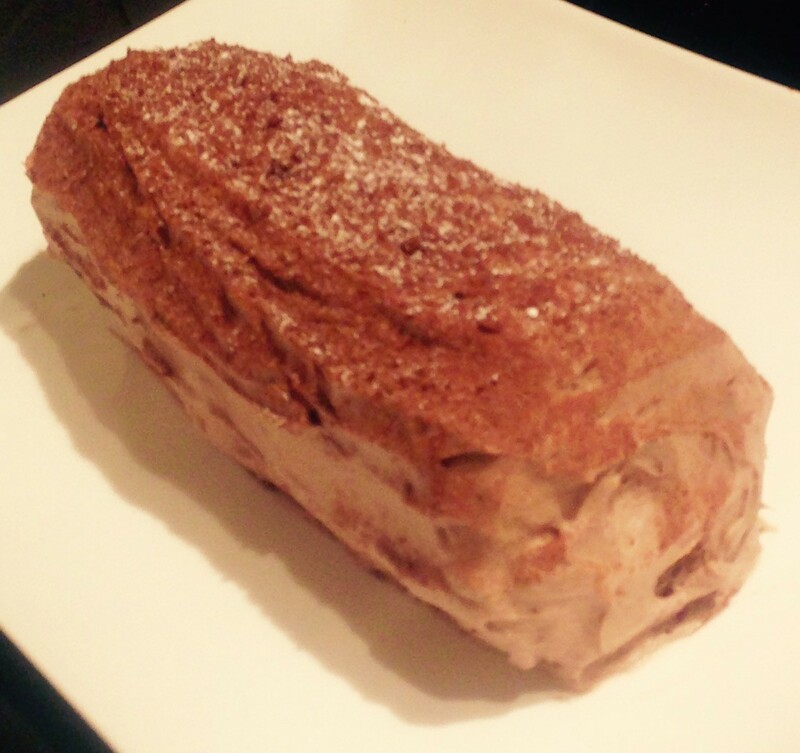 For the cake style and format I took influence from my Ginger and Date Biscuit Cake. 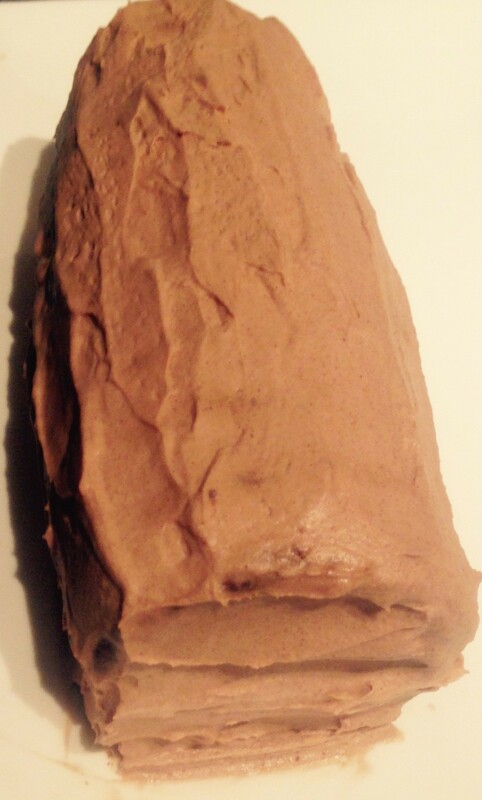 Outcome, a really delightful cake that took a whole of 15 minutes to make and contained only a few ingredients that are supermarket stables. 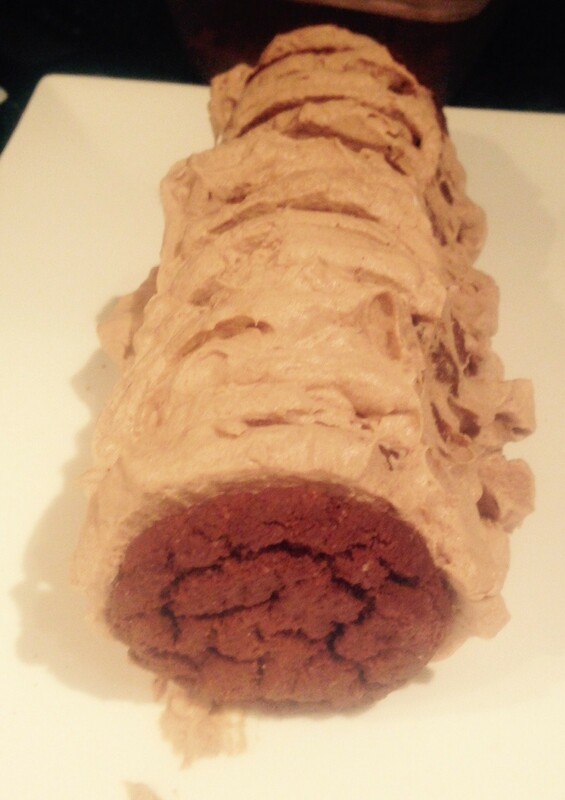 Cakes don’t get much easier than this! 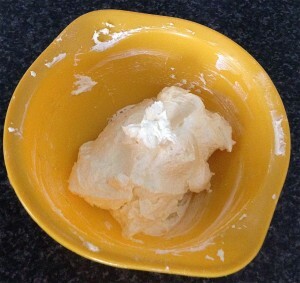 Beat the cream with electric beaters until soft peaks form. 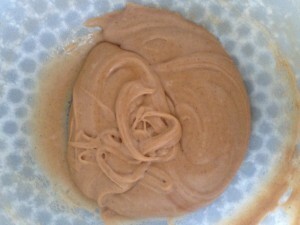 Add the icing sugar, vanilla, cocoa and Sambuca to the cream until combine and firm peaks form. 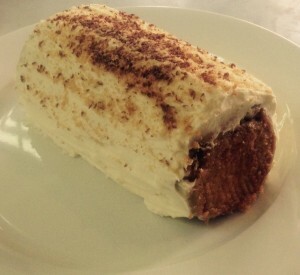 Spoon a line of the cream mix onto a plate in a line. 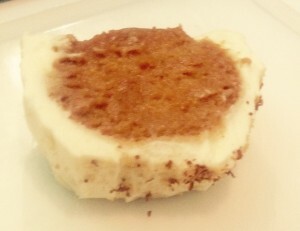 Spoon ½ tbsn of cream mix onto a biscuit and sandwich together with another. Place the biscuits long side up onto the cream. 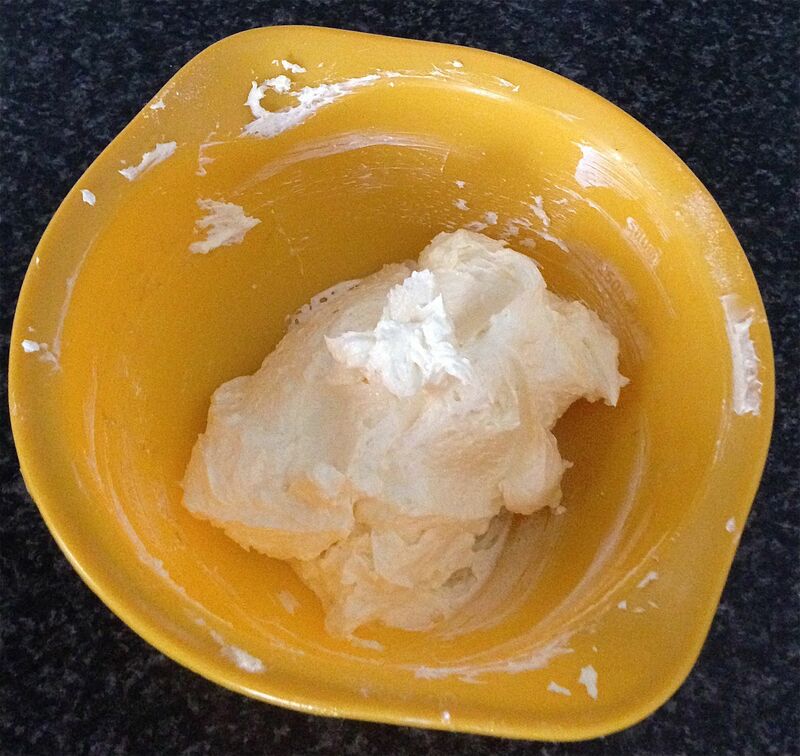 Continue to spread ½ tbsn cream onto a biscuit and push into the biscuit on the plate, cream side first. Continue until all the biscuits are used up. Spread the remaining cream over the outside of the cream biscuit log. Place cake in the fridge for 6 hours to set. NOTE: If you dont have Sambuba you can replace with Ouzo instead or any aniseed flavoured liquor. 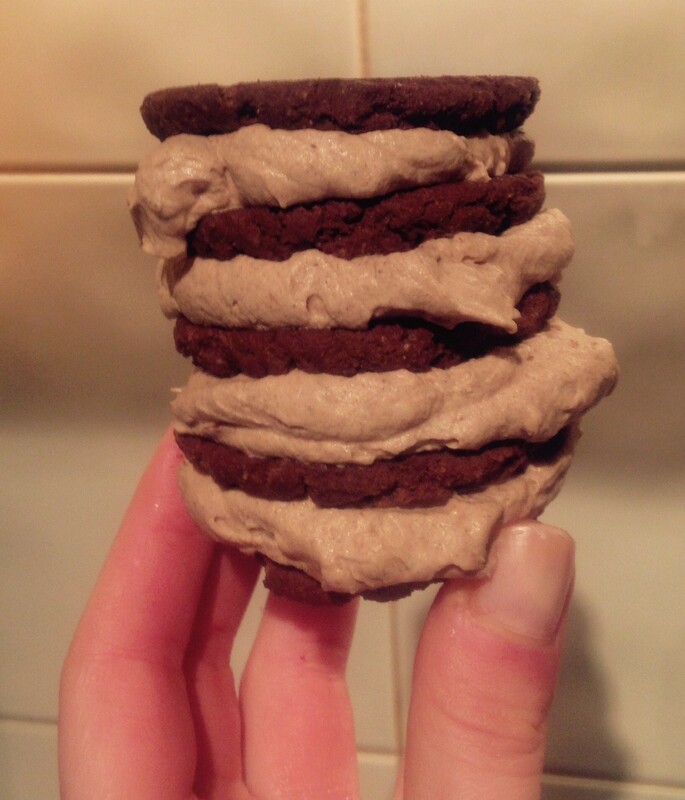 Tags: aniseed, Aniseed and Chocolate Biscuit Cake, biscuits, chocolate, sambuca	. Posted on September 25, 2016 Posted in Biscuits	. 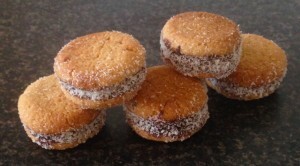 These cookies came from me experimenting with cookie ‘sandwich’ biscuit recipes. 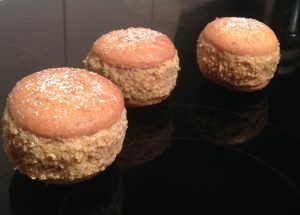 I made a few patches of a range of varying flavor combinations where to list a few includes; peanut butter, almond, coconut, lime, butterscotch, caramel, Kahlua, chocolate…and the list goes on. The aim of making all the variations was to (a) have fun playing around with flavor pairings, but ultimately (b) I wanted to make up an epic recipe for a friends birthday to take to her gathering. The best mix was peanut butter, chocolate and coconut with the addition of Kahlua to enhance and amplify the chocolate flavor, in which that it did! 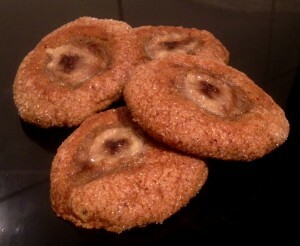 This recipe you can say is not as out there as others I have made, BUT these cookies are pretty darn amazingly tasty. 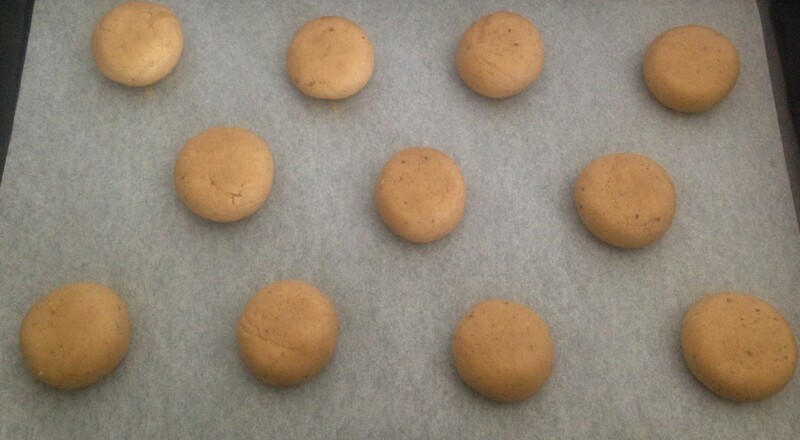 Preheat the oven to 160c degrees and line a 30 x 30cm baking tray with baking paper. 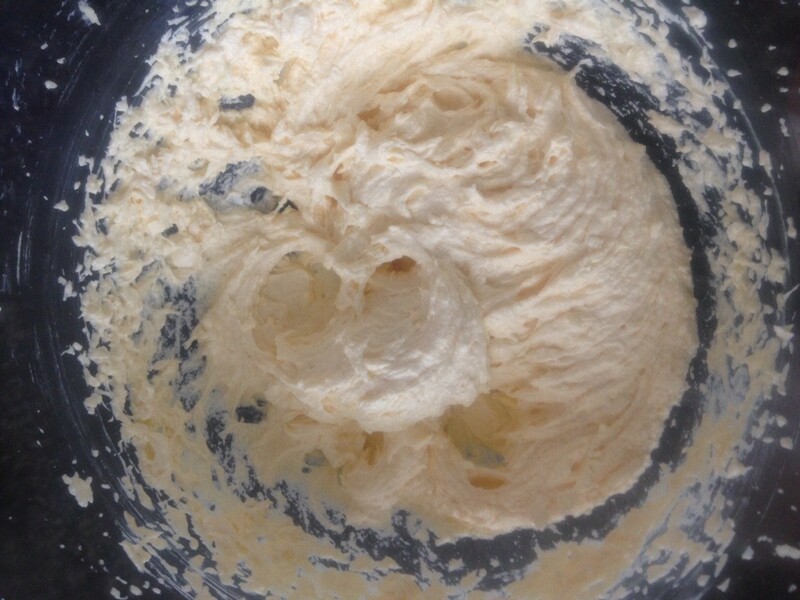 Using electric beaters whisk the soft butter and sugar until creamy. Add the peanut butter and Kahlua and beat until well combined. 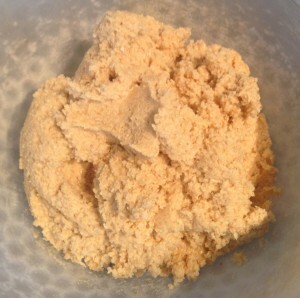 Sift in the flour and add in the coconut, oats and salt. Stir to combine. Wet hands and roll mix into 15g balls, placing on the tray with 5cm between each ball. 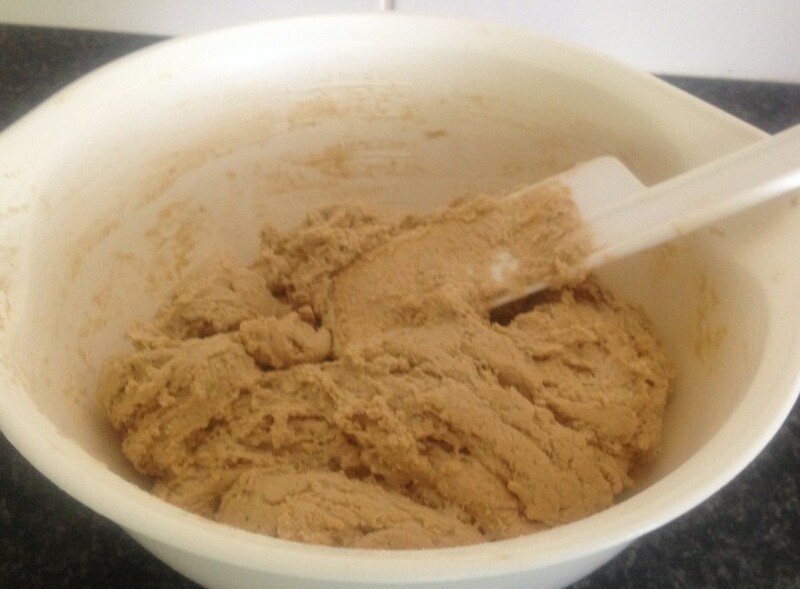 Once all balls are done use the back of a spoon to slightly flatten. 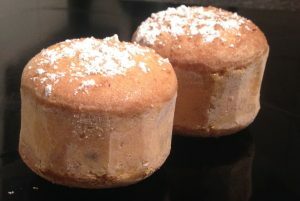 Bake in the oven for 12-14 minutes then place on a cooling rack until cooled. 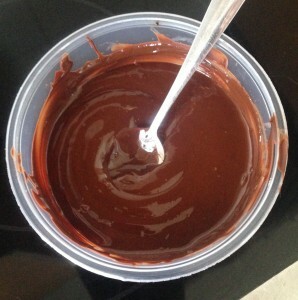 Meanwhile, to make the filling place the chocolate with the cream in a bowl and microwave in 30 second intervals stirring in between until melted and smooth. Spread each cooled biscuit on the baked side down with the chocolate mix. 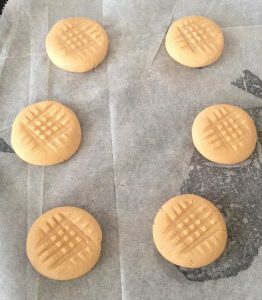 On half the biscuits drop a small amount of peanut butter into the center of the biscuit on top of the ganache. 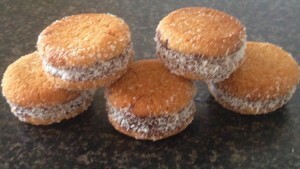 Roll each of the biscuits on their side into the extra desiccated coconut and roll to cover all the chocolate filling until all biscuits are done. Tags: biscuits, chocolate, coconut, cookies, dark chocolate, dessicated coconut, kahlua, oat bran, peanut butter, Spiked Oat Peanut and Chocolate Cookies	. Posted on June 15, 2015 Posted in Biscuits	. 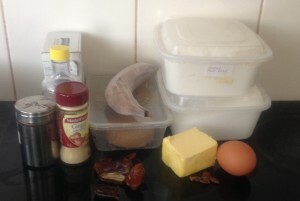 What do you do when you have left over dates and banana? 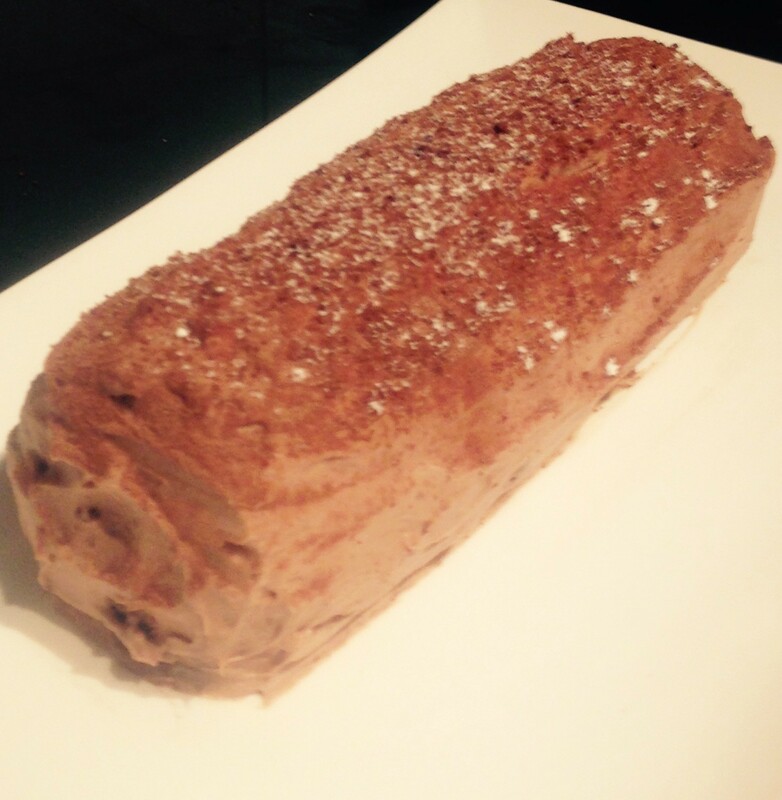 You get your bake on of course! 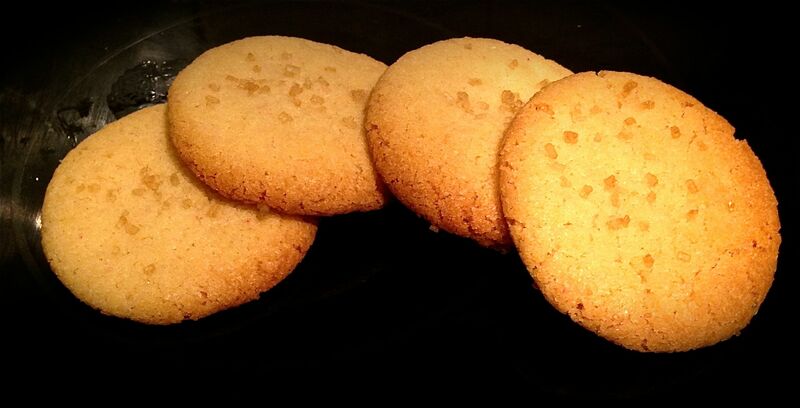 Though this recipe is for biscuits I did have to flip a coin as to if I would create a cake or biscuits. Two of my signature dishes are my Sticky Date Pudding with Butterscotch Sauce and my Spiced Banana Cake so it only made sense to take the best of both worlds and produce a sticky date and spiced banana biscuit. 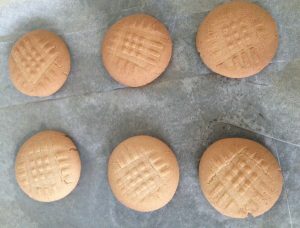 Why reinvent the wheel as they say…outcome, my new favorite biscuit. Boil some water and place into a bowl. 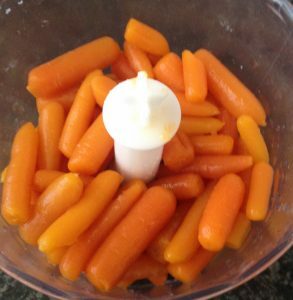 Add the dates and allow the dates to plumb up for 10 minutes in the water. 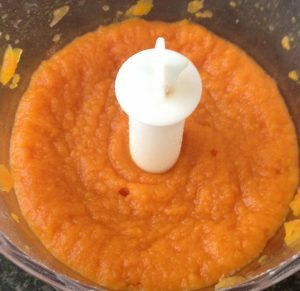 Drain the dates and place into a food processor and process until smooth. 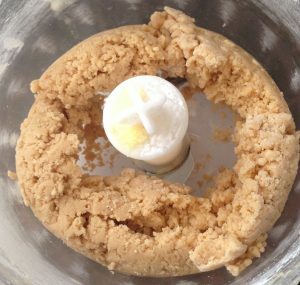 Using electric beaters beat the butter and brown sugar until light and creamy. Add the vanilla and egg yolk and beat for a further 2 minutes. 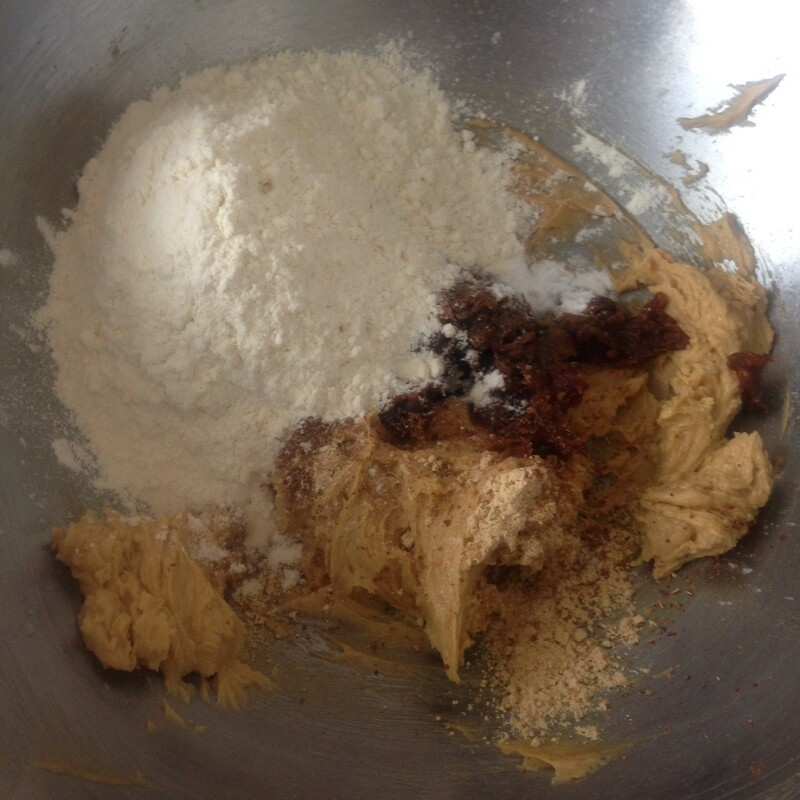 Add the flour, bi carb, ginger, mixed spice, star anise and pureed dates to the butter mix. 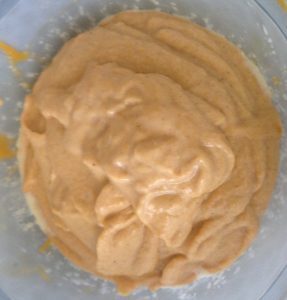 Beat the mix for 3 minutes until fully combine and creamy. With wet hands roll the dough into balls of 20g in size. 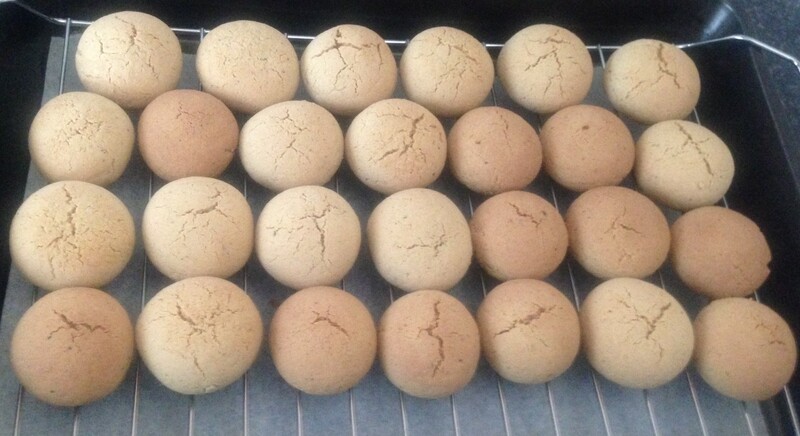 Once the balls are rolled place them onto the baking trays. Cut the banana into 5mm round pieces and place in the center of each ball. 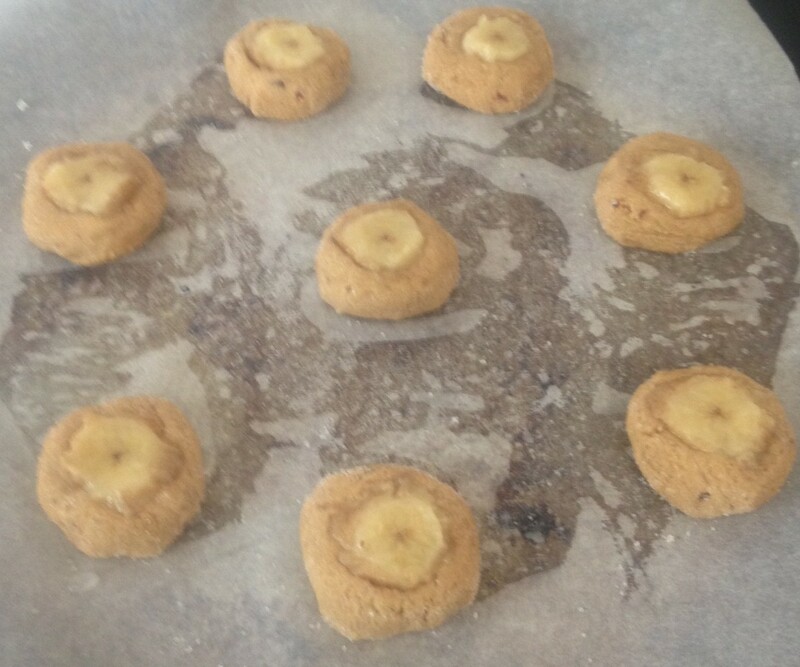 Using your hand push the banana into the top, slightly flattening the cookie. Bake in the oven for 20 minutes or until the biscuit is hard on touch. 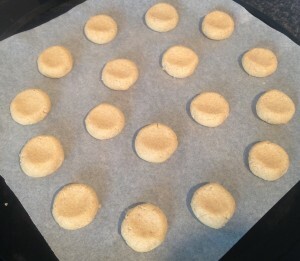 Leave on the tray for 5 minutes then transfer the cookies onto a cooling rack. 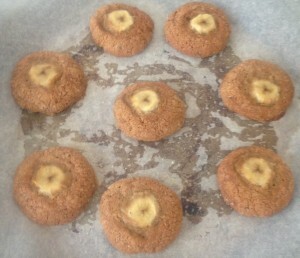 Tags: banana, biscuits, cookies, spiced, sticky date, Sticky Date and Spiced Banana Cookies	. Posted on July 16, 2014 Posted in Biscuits	. 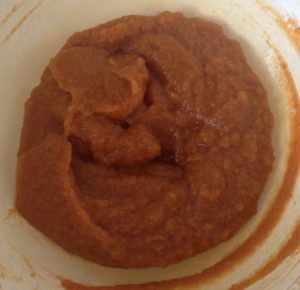 So before I go into the next recipe post I wanted to take the time to acknowledge all the amazing people out there that have communicated to me via commenting on my blog. There have been moments where the beautiful feedback has really been refreshing for me to continue experimenting further to new levels and puts a massive smile on my face. Therefore as you encourage me I encourage you to continue the beautiful feedback as well as ideas on ingredients you would like me to experiment with. I have been noticing that the supermarket has started to stock salty and sweet popcorn. This got me thinking back to the salty and sweet trend again and how I trial with this again. 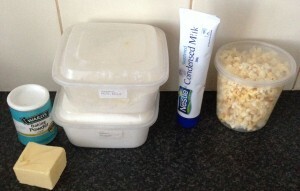 Therefore below is my recipe for the ever so simple and quick Popcorn Biscuits. Pre-heat oven to 160c and line 3 big baking trays with baking paper. 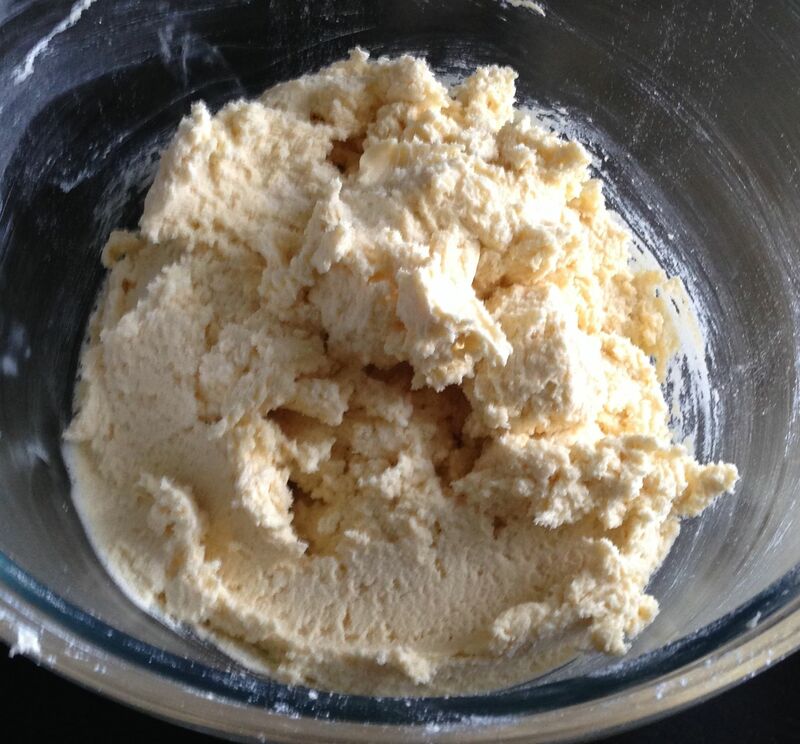 With electric beaters beat the butter and sugar for 5 minutes until light and creamy. Add the milk and beat for another few minutes until smooth. Add the flour and baking powder to the mix and stir. 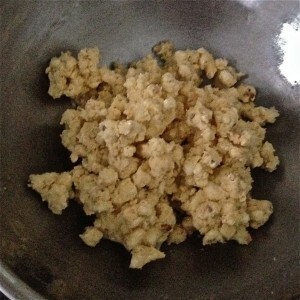 Add the popcorn to the mix, crumbling into small popcorn pieces as you add. Using hands mix until well combine. 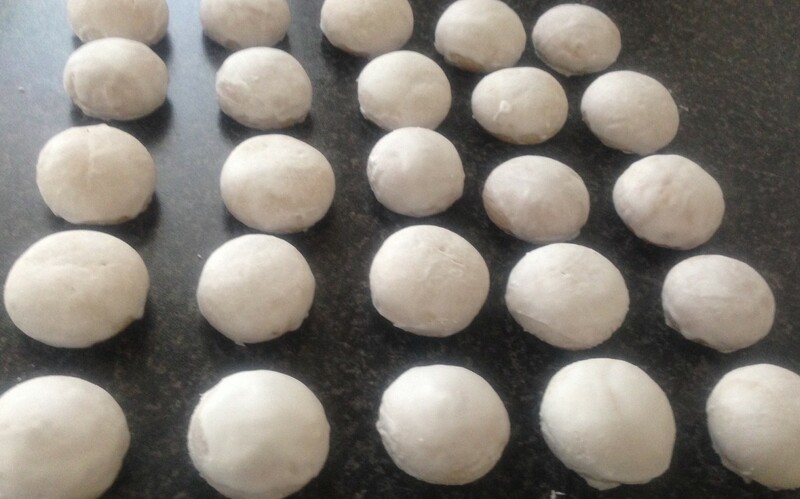 Roll mix into balls with hands to small golf ball sizes (30g in size). 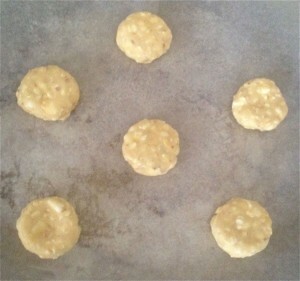 Place balls on the trays and slightly flatten with hands. Once cooked place on a rake to cool. 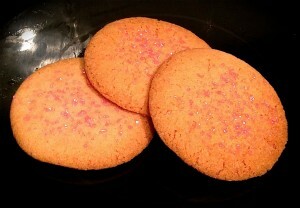 If your not a fan of the sweet and salty you can use plain popcorn but you will loose a layer of the biscuit flavor. 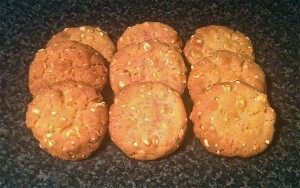 Tags: biscuits, popcorn, popcorn biscuits, salty and sweet	. 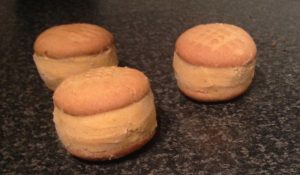 Posted on June 29, 2014 Posted in Biscuits	. Ever notice how Jelly (Jello in America) has the most amazing flavor variations, from fruits to wine flavors to favorite drinks like Blue Heaven? 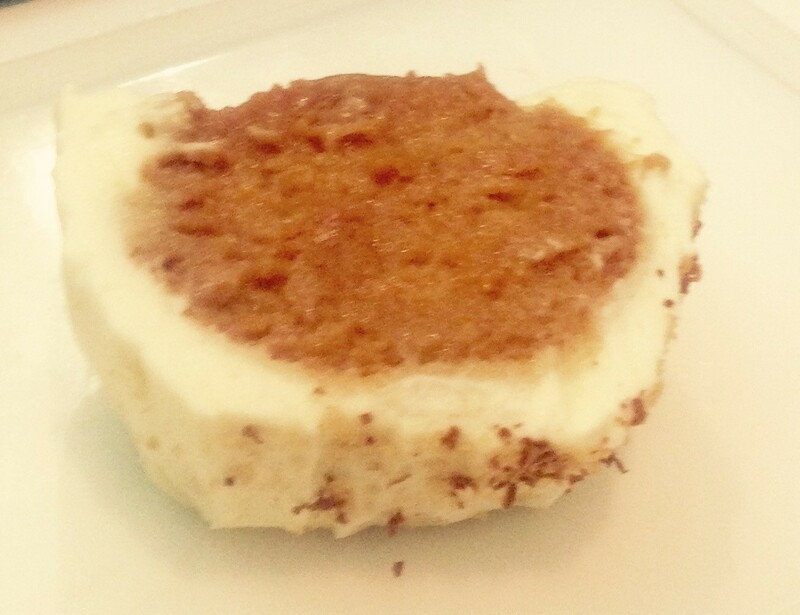 We use essence and extract to add flavor to our baking – vanilla, coconut, almond, mint and rosewater to name a few. So if we already add flavors why can’t we have the awesome favourite Jelly flavours in baking? Well there is no reason we can’t. This then brought me to experiment with my 2 most favorite Jelly flavours – Creamy Soda and Bubblegum. 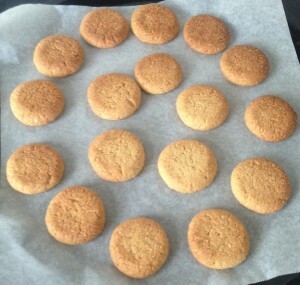 I made a batch of both of these biscuits and they were both so flavorsome and took me back to childhood! 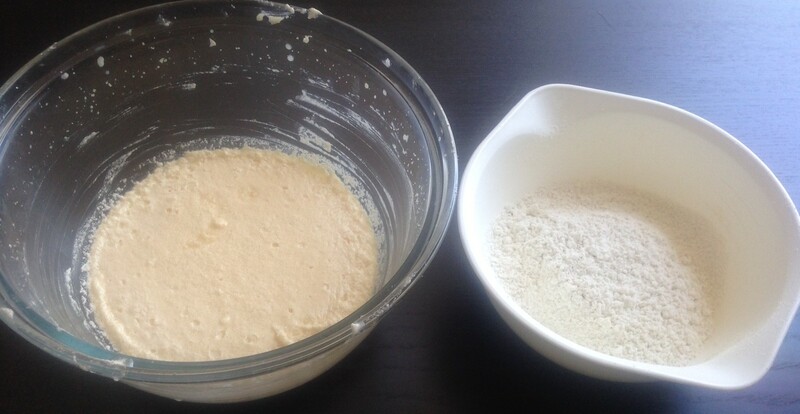 Add the flour, baking powder and the jelly powder to the mix and stir. Roll mix into balls with hands to small golf ball sizes (25g in size). Bake for 16 minutes or until slightly golden. 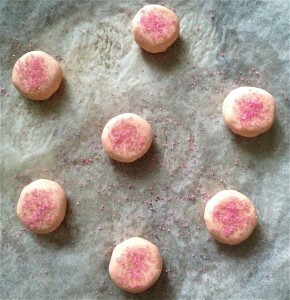 I have decorated by sprinkling pink decorating sugar to give the biscuits a special touch. 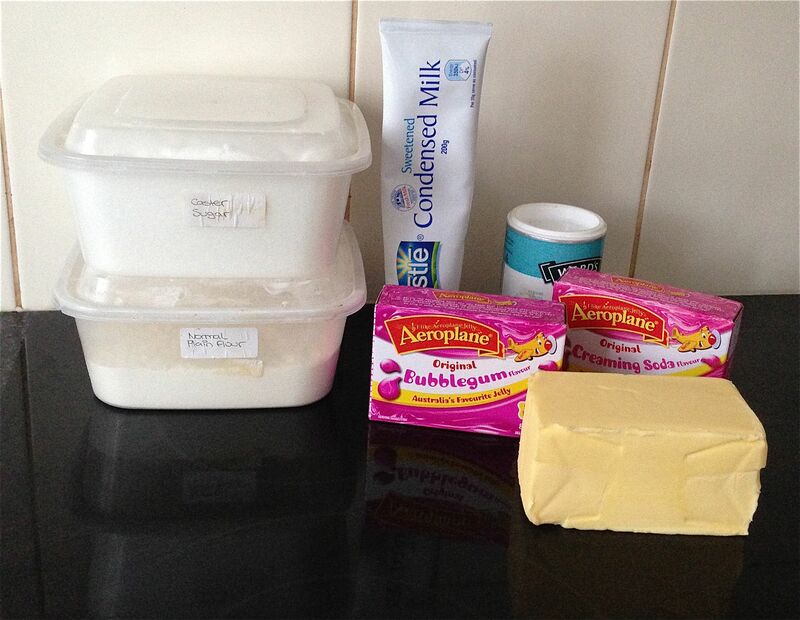 Tags: biscuits, bubblegum, creamy soda, jelly, jelly biscuits	.